Ridge Behind the Scenes: Now that's what I signed up for! 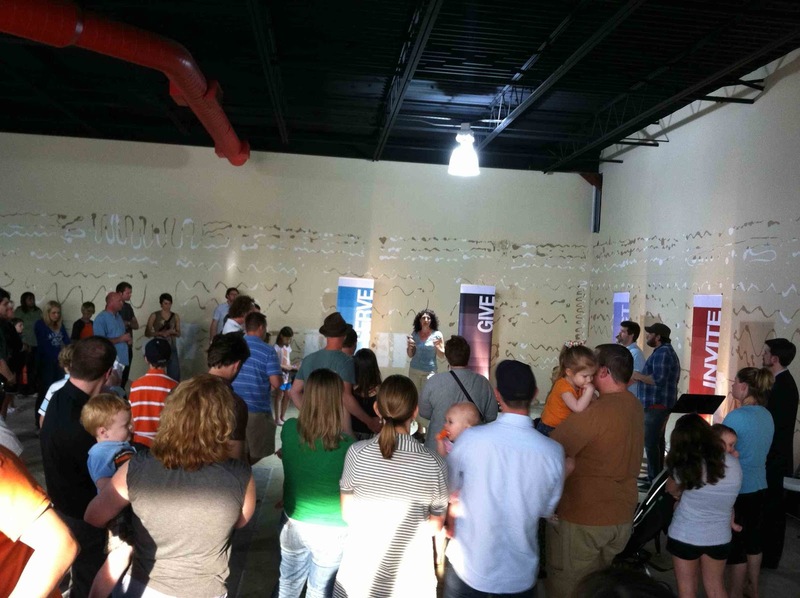 Monday night 80+ people gathered together for what will definitely go down as a historic night for Ridge Church. We spent time begging God for the miraculous in something we called "Advance 30". It was an incredible time of prayer, worship, and communion but it was just the kick off. 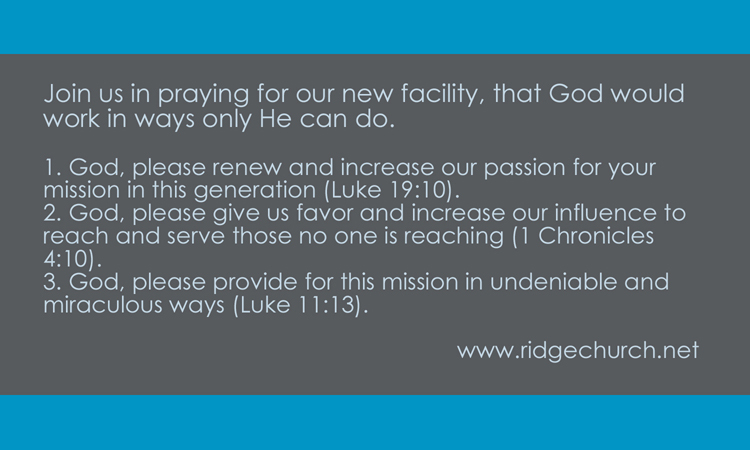 For the month of May we have invited the leaders of Ridge Church to devote themselves to a very strategic season of prayer and fasting. The night got it's name from Matthew 11:12 "From the days of John the Baptist until now, the kingdom of heaven has been forcefully advancing, and forceful men lay hold of it." Now that's what I signed up for! Not a desk job or church job... I want to be a part of a powerful (not passive) advance of God's kingdom and God's purposes here on earth. I get pumped about that. I want my kids to experience that. I want our church to find it's rhythm within that type of movement. So for the next 30 days we are fasting and praying together for three things specifically. 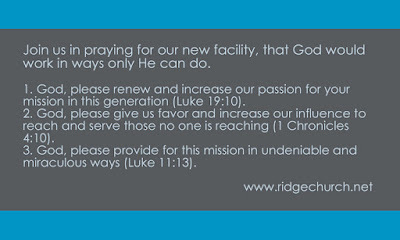 And we would love for you to join with us. I'll blog more about fasting in the days ahead for the sake of those that are new to that concept. Don't miss out!